Deep voice baritone of love,King Loverr, known to his fans as the "King Of Romance Music" was born May 11, 1984. Singing since the age of 8, and writing since the age of 13 ,King Loverr is an amazing talent compared to greats such as the Late great Barry White, the Late great Isaac Hayes, and smooth jazz singer Will Downing. Born into a singing family,King Loverr always dreamed of one day making it big. By the age of 15 ;King Loverr; started a group with a friend which was a duo called "Ready 4 Love". 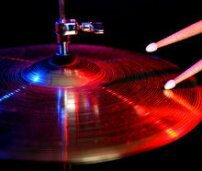 By the time King Loverr turned 18 he went solo, and his voice got deeper so he started listening to singers such as Barry White, Isaac Hayes, Christopher Williams, and Will Downing to find his own unique sound. In the summer of 2007,King Loverr posted some of his music material on the website http://www.showcaseyourmusic.com The people were constantly asking for more music from him, and where they could buy his album. Known for his hit songs "Gonna Make It Up To You" and "Loving You", King Loverr's voice is recognizable instantly for his truly one of a kind style. Since then King Loverr instantly became an internet celebrity overnight. Just type in his name in almost any internet search--he's basically everywhere. Look for his debut album "Born To Be Romantic", coming soon from the King of Romance Music himself in 2009. For those who need to contact King Loverr for booking, and events Contact King Loverr at: Phone number: 803-478-4719. 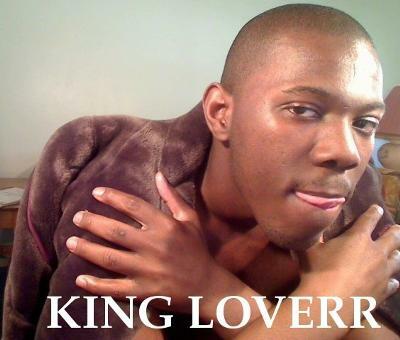 Also join his group on Facebook called "King Loverr: Deep Voice Baritone Of Love".